Yamaha's piaggero embodies the almost lyrical combination of "piano" and "leggero" Italian for "light" - that constitutes its name. NP-V80 is the next model up from the NP-V60. Piaggero provides go-anywhere portability and style while also delivering the authentic feel of an acoustic piano and Yamaha's legendary sound quality. For the serious pursuit of a new pastime or the leisurely recapture of an old one, Piaggero offers easy-going piano fun. 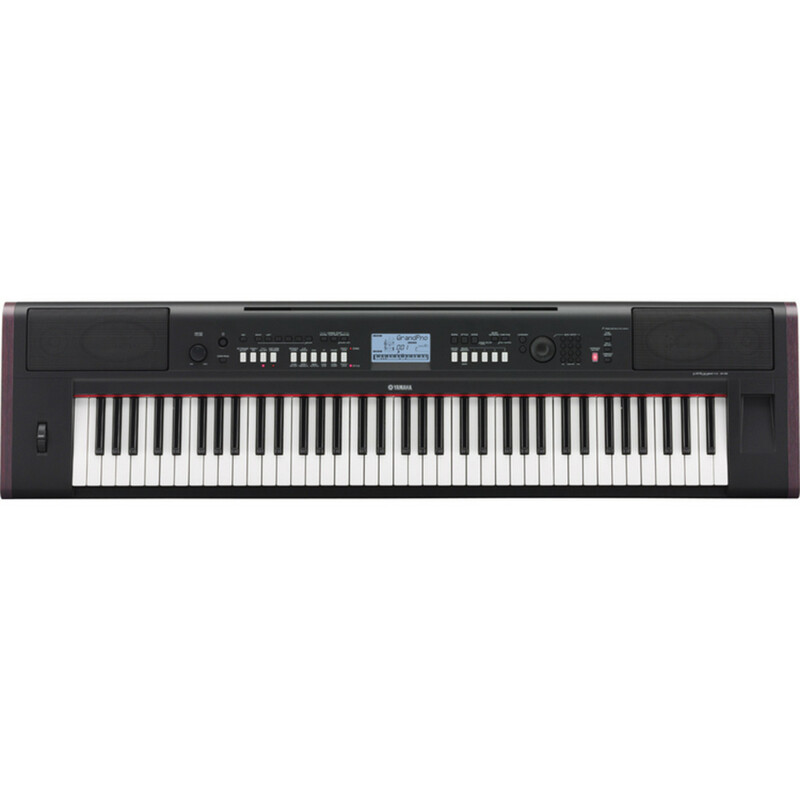 Graded Soft Touch Keyboard just as on an actual piano with soft touch of digital keyboard. Just as on hands actual piano,the lower keys are heavy in touch and the higher keys are light, with soft touch of digital keyboard for beginners. Play a variety of instrument voices - The instrument voice that sound when you play the keyboard can be changed to violin, flute, harp or any of an extensive range of voices. You can change the mood of a song written for piano, for example, by using violin to play it instead. Experience a whole new world of musical variety. Play along with auto-accompaniment styles - Try the auto-accompaniment styles. The accompaniment styles provide the equivalent of a full backing band covering a wide variety of styles from waltzes to 8 beat to euro-trance.... and much more. Select a style that matches the music you want to play, or experiment with new styles to expand your musical horizons. Using the 30 internal songs for the performance assistant technology feature, lessons, and more. - You can simply enjoy listening to the 30 internal songs, or use them with just about any of many functions provided - the performance assistant technology feature, lessons and more. Arpeggio Function - This function automatically products arpeggios when you simply play the appropriate notes on the keyboard.